Social action is ideally placed to play an instrumental role in helping more parents and carers support young children to achieve developmental milestones. Parents and primary carers are first educators, and the knowledge and confidence they have to support their children’s development can make a marked impact. The evidence shows that the quality of the home learning environment is more important for intellectual and social development than parental occupation, education or income. In short, what parents do at home is more important than who your parents are. These effects are long-lasting - a high-quality early home learning environment has a continued positive effect through to GCSE and overall A-level attainment. Supporting parents is especially relevant now. Despite a positive trend over time, over 30 per cent of children did not reach a good level of development at the end of the early years foundation stage according to the most recent profile results. Parent-centered interventions are especially effective in supporting achievement of developmental goals, and our previous portfolio of work suggests that social action focusing on supporting parents is ideally placed to make an impact. Given the above, the Early Years Social Action Fund is looking to support organisations that are currently making an impact, but that require support to scale up. This fund will back projects that can grow - for example, to new geographies, or through new partnerships etc - and reach many more people, and mobilise many more (at least 250) volunteers. Having supported dozens of social action programmes to scale, we have seen that social action works best when there is a clear role to complement, not replace public services, where opportunities fit in and around people’s lives and where any skills needed can be codified and learnt by many. The £1 million Early Years Social Action Fund aims to help more children aged four and underachieve their developmental milestones through social action. A partnership between Nesta and the Office for Civil Society, the fund will back projects where social action builds the confidence and knowledge of parents and primary carers to support their children to achieve their developmental milestones ahead of their fifth birthday. 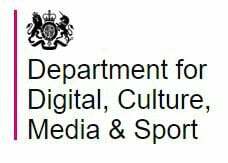 The fund will provide four to six grants of between £150,000 and £250,000 - and will include significant non-financial support - to help grow the impact and reach of the best innovations, based in England. Innovations must show clear evidence of improving achievement of children’s developmental milestones and should focus on supporting families in need. Innovations must also demonstrate that they need support to scale their work, using social action, to new areas in England. Specifically, where this fund is concerned, social action will include both formal and informal forms of giving and volunteering, as well as forms of digital giving. Mentoring models to skill up parents and primary carers so more children reach developmental milestones. Peer to peer models to skill up parents and primary carers so more children reach developmental milestones. The focus of this fund is on supporting social action that will build the confidence and knowledge of parents, recognising the critical role parents and primary carers play in children’s development. If you have any questions about the Early Years Social Action Fund, please email [email protected]. Carrie is Head of Social Action Innovation at Nesta, leading our work on social action and people powered public services. Vicki is an Executive Director at Nesta, responsible for the foundation's grant making function. Scaling the UK pilot of the LENA Home model to 21 new areas. Bringing the US-based Parent Child Home Program to the UK. Scaling the Empowering Parents, Empowering Communities programme to 16 new hubs across the country. Growing a programme improving the health and developmental outcomes of infants.